News and Product Discount Offers. You’re going to get a kick out of this topic, I know it – we’re talking about making beer for survival. This might just be one of the most fun topics to talk about (after all, who doesn’t enjoy a nice, cold beer?). However, many people don’t realize the logical reasoning behind making beer for survival (and no, it’s not to get so drunk you forget you’re in a crisis). Although brewing your own beer is rightfully lower on your prepping to-do list than ensuring you have food, water, and shelter, there’s still many practical reasons to do it. For example, brew kits have long shelf-lives (average of 20 months), so they’re perfect for long-term storage. Brewing your own beer will also save you money in the long-run (rather than buying from the liquor store – hello, markups). It’s also a great morale booster, and it’ll help salvage some normalcy in a SHTF situation.You’d be surprised how far the little comforts of home (such as beer) will go to help keep spirits high and keep people moving forward in a crisis. However, one of the biggest reasons for preppers to brew their own beer is for the bartering value. 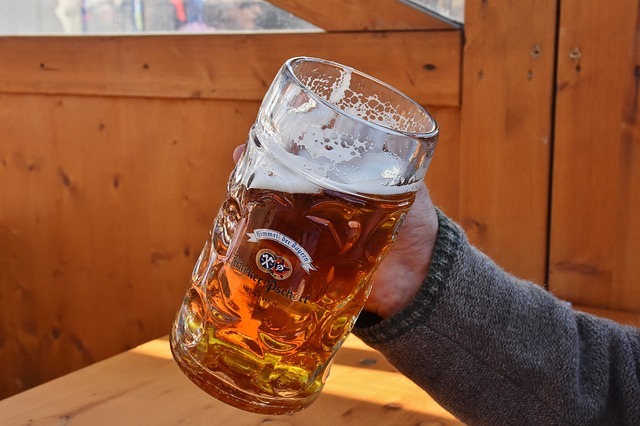 Not only do most people love beer, but think of how many people in this world are addicted to alcohol – they’ll typically do just about anything to feed this vice (including trading their valuable items for your beer). If a catastrophe hits, cash becomes useless and stores are ransacked of their goods, you’ll be sittin’ pretty with cases full of beer, ready and willing to trade for precious items like weapons, food and other essentials to keep you thriving. 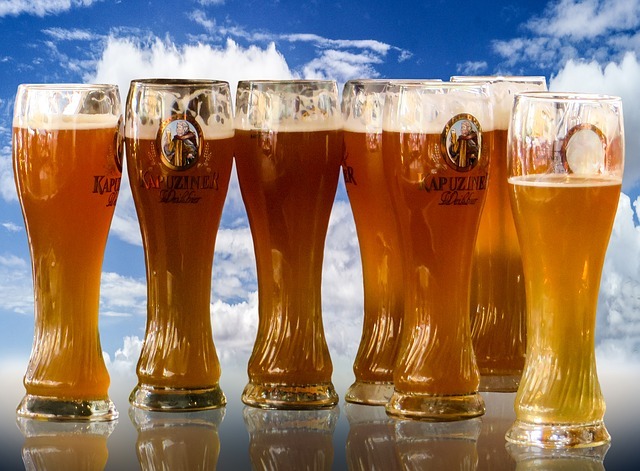 Plus, brewing systems are great for use now (pre-crisis, such as get-togethers with friends), in a crisis (bartering, normalcy) and for post-crisis; after all, there’s nothing better than surviving a critical situation and relaxing post-SHTF with a cold bottle of homemade beer at the ready. For these reasons, I’m taking it upon myself to teach you the easy, step-by-step process of making beer at home. Note: Make sure to thoroughly clean and sanitize your equipment before using. Unclean equipment = bad tasting beer. Remove the directions label from the brew kit can and set it aside. Set the can in hot water to loosen the liquid. While the can is heating up, boil two gallons of water in your stainless steel brewing pot on the stove, and mix in the required amount of sugar. Add the warmed liquid from the can into the pot, and mix. Then, siphon the liquid from the pot into your 6-gallon carboy. Fill the carboy the rest of the way with cold, filtered water and airlock it tight. Move the carboy to a place in your house where you can leave it undisturbed. Then, add the yeast to the beer (usually located under the lid of the beer kit) and stir in. Fermentation times vary from kit to kit, so pay attention to the directions on the package. You’ll notice air bubbles starting to rise in the liquid – you’ll know it’s finished fermenting when the bubbles have stopped. Transfer the fermented liquid to your food grade plastic bucket (aka bottling bucket) and mix in the priming sugar (1 oz. sugar for every gallon of beer). Note: mix the sugar into the liquid extremely well to avoid carbonation issues. Fill each bottle up to the middle of the neck, place the cap on the bottle and cap it on. Store the bottles in a cool, dark place – in about a month, your beer will be ready to drink. So you’ll notice I said something VERY important earlier in this article – you must use clean, filtered water when brewing your beer. In fact, clean and filtered water isn’t just necessary for home-brewing – it’s imperative for your and your family’s health, especially in a SHTF situation. Like I’ve said before, if you encounter a critical situation and stores have been ransacked of their goods, it’ll be tough to find large amounts of good, filtered water. When it comes to getting the best water (for regular home use, or for emergency use) there really is no better purifier on the market than the Big Berkey Water system. The Big Berkey System relies on a special kind of filter known as the Black Berkey Purification Element. These gravity assisted purifiers have the capability to turn any kind of water (tap, stream, pond, puddle, etc.) into safe drinking water in just moments. The Big Berkey systems are long-lasting, easy to use, easy to maintain, and provide dependable and effective water purification wherever you might be. 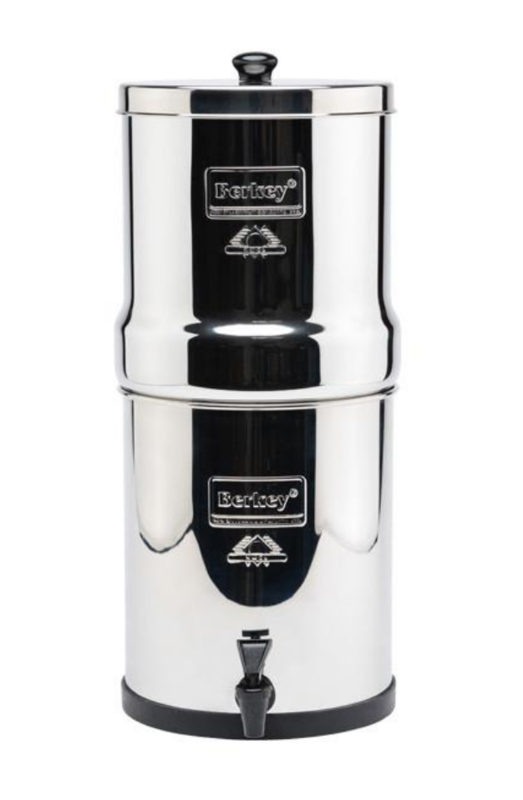 The Big Berkey is rated one of the most dependable water filter for the cleanest drinking water possible. This baby is capable of doing what a lot of filters aren’t, it filters out heavy metals (like lead and mercury), as well as various bacteria, chemicals, viruses, E-Coli, and even brain damaging fluorie. Another great thing – it’s so easy to use! Simply fill the top basin with dirty water (see the picture below), and then wait as gravity does all the work of pulling dirty water through the Black Berkey filter elements. It’s that easy. Plus, the Big Berkey System is perfect for people with limited storage space – this unit sits comfortably on a kitchen counter and takes up very little room. If you ever need to store it or travel with it the unit breaks down and stores inside of itself. And the best part? It provides you with over 3,000 gallons of clean drining water. That’s 10 years worth of water for just one person. Use this not just for drinking...but for making beer as well! When you’re in a catastrophe, people will come begging for this filtered water (as well as your beer), putting you in the powerful situation of being able to provide for your loved ones AND bartering for your needs instead of theirs. Click here or on the image below to start getting constant, clean, filtered water today. This entry was posted in Prepping, SHTF, Survival Checklists, Survival Cooking, Survival Food Recipes, Survival Skills and tagged best survival foods, DIY, DIY Survival, food, food storage, prepper hacks, survival, survival food on April 26, 2016 by Survival Frog. 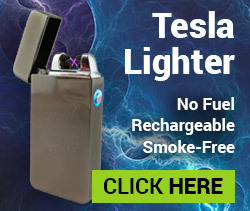 Show me How it Charges USB Devices! 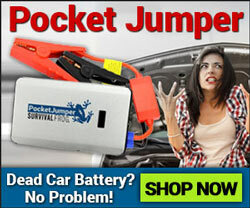 This site offers information I never even thought about. Wonderful product offers. Keep up the good stuff. Remember, were all in this together! ©2019 Survival Frog Blog. All Rights Reserved. 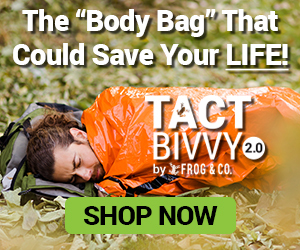 - Survival Frog, 2488 W 2nd Ave, Denver, CO 80223 - Customer Support, 1-800-PREPPER, (1-800-773-7737).